George Zimmerman turned himself into authorities and returned to jail this afternoon, six weeks after being released on bond. Looking slightly heavier and with his hair grown out, Zimmerman arrived at the Sanford County jail in Sanford, Florida, shortly after 1:40pm traveling in a white mini-van accompanied by sheriff's deputies and his attorney, Mark O'Mara. On Friday a judge revoked Zimmerman's $150,000 bond, posted in April while he was awaiting trial, after prosecutors accused him of withholding one of two valid passports and said his wife did not tell the court about money donated for his legal defense. Circuit Court Judge Kenneth Lester Jr gave 28-year-old Zimmerman 48 hours to surrender to the Seminole County Sheriff. After he arrived, Zimmerman was to be booked again and placed into isolation in administrative confinement for his own protection, a law enforcement official told ABC. He returned to Central Florida from an undisclosed location, arriving late on Saturday evening. 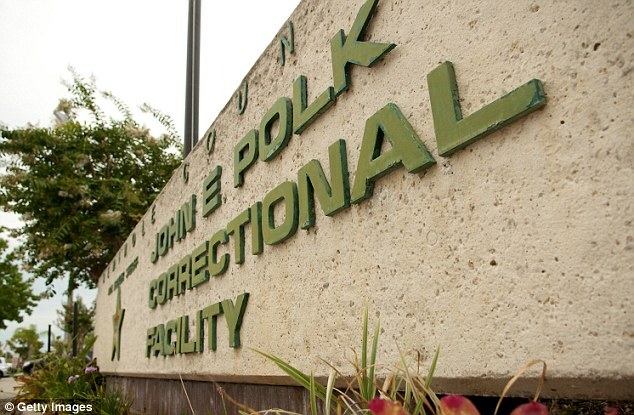 His imminent return to jail was the latest twist in a murder case that has riveted the United States and sparked widespread debate over guns, self-defense laws and U.S. race relations. It was just six weeks ago that Zimmerman was freed on bail before he waived his right to a speedy trial. Had he not had this revoked, he would have spent the next year or even two in hiding at a secure location while awaiting trial. Now, he could spend that time in isolation. 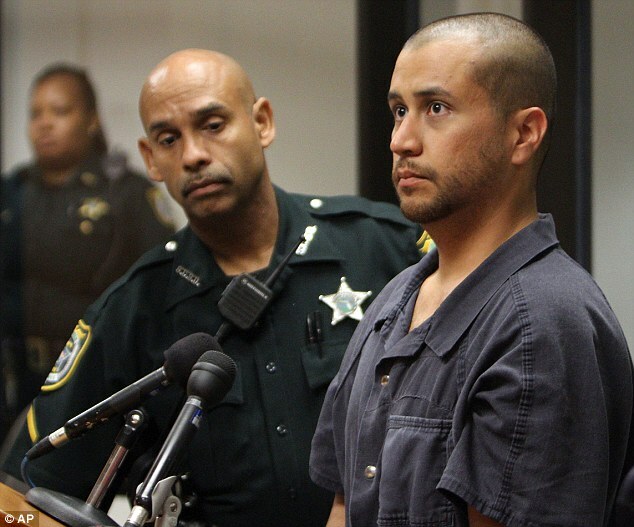 Zimmerman's credibility could become an issue at trial, legal experts said, noting the case hinges on jurors believing Zimmerman's account of what happened the night in February that Martin was killed. The neighborhood watchman wasn't charged in the case until more than a month after the shooting. 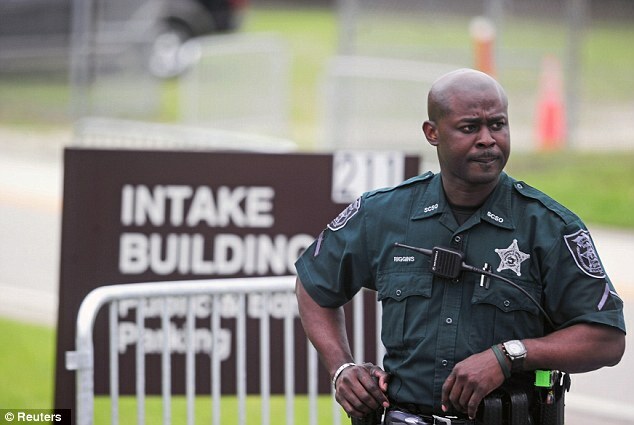 Protests were held across the nation, and the case spurred debate about whether race was a factor in Zimmerman's actions and in the initial police handling of the case. 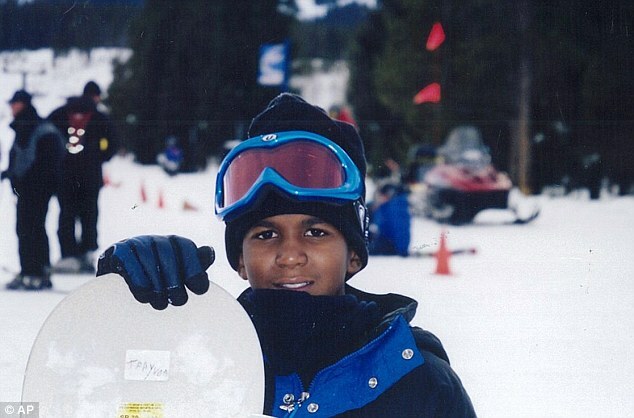 Martin was black; Zimmerman's father is white and his mother is from Peru. The questioning of Zimmerman's truthfulness by the judge on Friday could undermine the defendant's credibility if it is brought up at trial. It also may complicate how his defense presents him as a witness, said Orlando-area attorney Randy McClean, a former prosecutor. The other key witness, unfortunately, is deceased, McClean said. Basically, Zimmerman is going to be asking the jury to believe his version of the facts. As the case stands now, his credibility is absolutely critical to the case. Jail authorities in central Florida, where the case arose, said Zimmerman had not turned himself in there by early Sunday. He must do so by Sunday afternoon. Zimmerman went into hiding in the weeks after the shooting and his exact whereabouts since he bonded out of jail remain unclear. It was not immediately clear exactly where Zimmerman would surrender. Zimmerman's credibility would be important if his attorney, Mark O'Mara, tries to get a judge without the jury to dismiss the charges based on the law, said Orlando defense attorney David Hill. 'If he was in on something that was not truthfully revealed to the judge, when there is a 'stand your ground' hearing, of course you're going to second-guess him,' said Hill. The revocation of Zimmerman's bond also puts pressure on O'Mara not to delay the trial, McClean said. 'When your client is out on bond, the pressure is much lighter to rush to trial ... because your client is sitting at home," he said. As he revoked Zimmerman's bail on Friday, the judge said Mr Zimmerman had responsibilities to stop his wife, who testified at one hearing, and his lawyer from making false statements. 'Mr Zimmerman can't sit back a potted palm and let his wife testify falsely before the court when he knew well in advance of the hearing the amounts of money in controversy,' said Judge Kenneth Lester. Under Florida's Rules of Criminal Procedure, a judge has discretion to revoke a defendant's bail if he finds there's 'good cause' to do so. Lying to a court about one's finances apparently fits the bill. In arguing for George Zimmerman's bail to be revoked, prosecutors asserted his wife Shelly 'flat-out lied' to get a lower bail. 'This court was led to believe that [George Zimmerman and his wife] didn't have a single penny,' one prosecutor argued. But it turns out the Zimmermans had collected about $200,000 in online donations via a website -- a fact Zimmerman's attorney Mark O'Mara has acknowledged. In addition, Zimmerman and his wife 'spoke in code to hide what they were doing' during jail telephone calls, prosecutors alleged. Prosecutors also used phone conversations recorded between Zimmerman and his wife Shelly, to show that the pair intentionally deceived the court by talking in code that designates multiples of thousands to much lower sums. 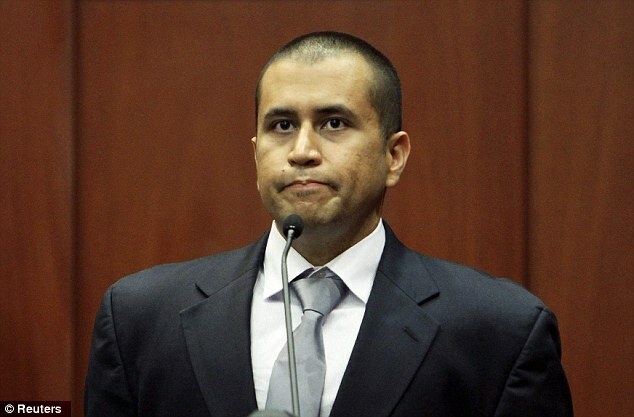 George Zimmerman asks: 'in my account do I have at least $100? Prosecutor Bernie De la Rionda described the Zimmermans' testimony as 'misleading'. It was also revealed that Zimmerman kept a second passport at his home and he and his wife can be heard to discuss it. 'I have one for you in the safety deposit box,' said Shellie. 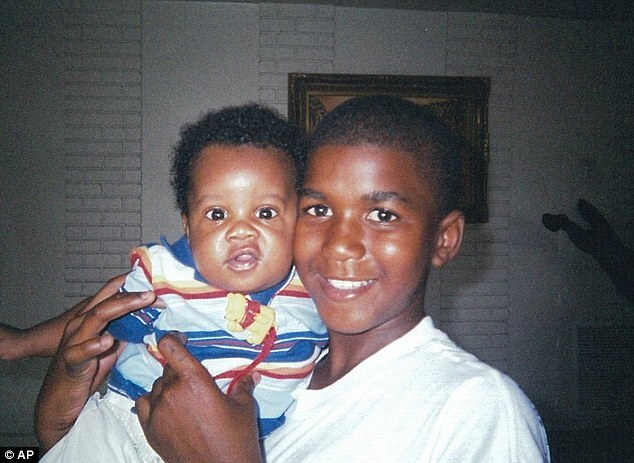 'Okay, you hold onto that,' replied Zimmerman. 'We fully expect that the special prosecutor will make George Zimmerman's credibility be front and center in this entire case,' Crump said. 'And whatever dishonesty that comes forth by George Zimmerman that they can prove, you can best believe it will be the issue of this case and rightfully so. The delay in an arrest for 44 days prompted protests nationwide and led to Sanford's police chief stepping aside so emotions could cool down. 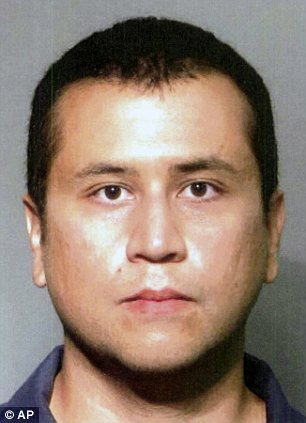 George Zimmerman started a website to raise funds for his legal defence under the URL www.therealgeorgezimmerman.com in April. According to prosecutors, he allegedly raised $135,000 but the website was shut down on April 24 so his attorney could regain control of the fundraising drive. The 28-year-old's bond hearing was on April 20, where the amount of money the website had raised was not disclosed. Zimmerman was released from jail on April 23 on a $150,000 bond after paying 10 per cent upfront. Later that week, his lawyer told CNN that the website had raised more than $200,000 in donations. A consortium of more than a dozen media groups, including The Associated Press, asked the judge to ignore the request, saying such records are presumed to be publicly available under Florida law. 'Discovery in Florida has traditionally been open ... and Florida hasn't encountered problems seating juries and giving defendants fair trials,' Fugate said. O'Mara said he expects to call on 50 witnesses who need to be deposed before he decides whether to file a "stand your ground" motion which would ask for a hearing before a judge without a jury. At the hearing, Zimmerman would argue self-defense under the Florida law which gives wide latitude to use deadly force rather than retreat in a fight if people believe they are in danger of being killed or seriously injured. If the money was set aside as a "defense fund" then that is apparently what he was going to use it for. Not "bail fund". Also, he has proven time and time again he is not a flight risk by showing up every time the court asks him to. The question is, How many more lies will he be caught in??? Where is all his fans now!!! We know three things. Martin was not found with anything on him. Zimmerman never reported seeing Martin commit a crime. And, Zimmerman was told not to go outside. A troubling scenario plays in my head. I put myself in the shoe here, as a women and citizen. I am walking through a condo community which I have cut through on my daily jog. Some neighborhood watch person stops me in an accusatory fashion and demands to know what I am about. I probably would look at them as though they are crazy, not respond, and continue on my way. Then neigborhood watch person puts a hand on me to stop me. I have never been in a fight in my life, but a scuffle will definitely ensue. I might get hurt, he might get hurt in the scuffle. However, if he pulls out a gun and shoots me, then he is considered standing his ground. I am gung ho for law enforcement, but not what happened here. I believe this was Zimmermans fault. Most people wd react as described above if stranger tried to stop them. Oh no, Zimmerman what did you do. You dont lie to a JUDGE. His money shouldn't matter. In the USA we are SUPPOSED to be afforded "equal treatment under the law." Apparently not if you're the wrong color. He already had time to put the weight back on? That was quick! Zimmerman, his wife and his lawyer are a combination of stupid and arrogant. Lying about finances, surrendering what was an invalid passport and concealing the existence of the valid passport from the court? Trying to speak in "code" in jailhouse conversations? What on earth were they thinking? They've hobbled themselves going into the trial. Zimmerman's credibility is damaged, his wife is now dragged into it, and the lawyer will be facing an uphill battle with the court because he has demonstrated that he can't be trusted, either. If Zimmerman lied or exaggerated during his previous statements, even if he doesn't testify, the prosecution will be able to more effectively portray him in a negative light. European equity futures and Asian stocks fell, Chinese shares in Hong Kong headed for a bear market and oil tumbled after data from the U.S. and China added to evidence of a global economic slowdown. The dollar strengthened and Spanish bonds yields climbed. Euro Stoxx 50 Index futures declined 1.1 percent as of 7:13 a.m. in London and the MSCI Asia Pacific Index (MXAP) fell for a fourth day to the lowest level since October. Japan’s Topix Index slid 1.9 percent, the lowest close since Dec. 13, 1983, and Hong Kong’s Hang Seng China Enterprises Index traded more than 20 percent below its peak this year. Standard & Poor’s 500 Index futures slipped 0.6 percent and oil retreated to an eight-month low. The dollar rose against most major currencies. Spain’s 10- year yields rose four basis points to 6.57 percent. The greenback advanced against 12 of its 16 major peers, with the Australian dollar leading declines, down 0.4 percent to96.65 U.S. cents. Australian bonds climbed, with yields on maturities of one year or longer falling to record lows. Australian three-year yields declined as much as 14 basis points to a record 1.89 percent. The one-year-rate touched 2.338 percent. Yields on Japan’s benchmark 10-year securities fell to 0.79 percent, the least since June 2003. The MSCI Asia-Pacific Index dropped as much as 2.4 percent to the lowest level since October, with 15 shares falling for each that rose. Sony Corp. (6758) dropped below 1,000 yen in Tokyo trading for the first time since 1980, when the Walkman was introduced in the U.S. The shares fell as much as 2.3 percent to 990 yen on the Tokyo Stock Exchange. Australian corporate bond risk surged to the highest level since November, according to traders of credit-default swaps, with the Markit iTraxx Australia index jumping 10 basis points to 212, according to Westpac Banking Corp. The gauge of default swap contracts on 25 companies was set for the highest close since Nov. 28, and the biggest daily increase since May 16, according to data provider CMA. “There’s a lot of psychological pressure among investors with the weak non-manufacturing data in China and global issues such as U.S. data and the euro crisis dragging on stocks,” said Tang Yonggang, an analyst at Hongyuan Securities Co. in Beijing. Oil for July delivery lost as much as 2.1 percent to $81.50 a barrel in electronic trading on the New York Mercantile Exchange, the lowest close since October. Copper futures for July delivery fell 1.7 percent to $3.26 a pound on the Comex in New York. The London Metal Exchange is closed today for a public holiday. TOKYO (Reuters) - The Tokyo market slumped to a 28-year low on Monday as Asian shares dived on fears of a nightmare scenario of euro-zone breakup, U.S. economic relapse and a sharp slowdown in China. Tokyo's Topix index lost as much as 2.4 percent to 692.18, a level not seen since late 1983, according to Reuters data, while the Nikkei average of major stocks tumbled 2 percent. The Nikkei last week marked its ninth straight week of losses, the longest such losing streak run in 20 years. The MSCI's broadest index of Asia-Pacific shares outside Japan fell by as much as 2.5 percent to 2012 lows, down 17 percent from this year's peak, continuing a rout of global stocks sparked on Friday by weak U.S. jobs data. European shares were likely to extend their losses, having wiped out all their 2012 gains on Friday. Spreadbetters tipped major European markets to fall by as much as 1.8 percent when trading resumes on Monday. The CBOE Volatility index, which measures expected volatility in the Standard & Poor's 500 index over the next 30 days, jumped nearly 11 percent to its highest since mid-December on Friday, reflecting mounting risk aversion. Worries about slowing global growth also pushed Shanghai copper down more than 3 percent to a new 2012 low of around 52,450 yuan a tonne. Heightened risk aversion pushed up the cost of insuring against corporate and sovereign defaults in Asia, with the spread on the iTraxx Asia ex-Japan investment-grade index widening by 13 basis points.